Ambassador Phillips is senior vice president of corporate engagement and international relations for Hunt Consolidated, Inc. She is responsible for managing all activities relating to local, state, national and international government affairs. 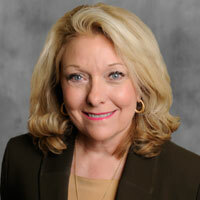 She also oversees all media relations for Hunt Consolidated and its affiliates, including international media relations. In addition, she directs all activities related to political and charitable giving for Hunt Consolidated and its affiliates. Ambassador Phillips also serves as president of Hunt Global Partnerships, Hunt Oil Company's corporate social responsibility program that creates partnerships with not-for-profit entities, local residents and local, state and federal governments to produce sustainable projects that enhance the quality of life of the residents and communities where Hunt operates. Appointed by President George W. Bush as the United States Permanent Representative and Ambassador to the Organization for Economic Cooperation and Development (OECD) in Paris, France, Ambassador Phillips led the U.S. Mission OECD from August 2001 until June 2003. Her primary policy interests were the enforcement of the Anti-Bribery Convention of the OECD, corporate governance and reforms of the OECD for the 21st Century. She also served as Executive Director of the 54th and then Chairman of the 55th Presidential Inaugural Committees. Prior to serving as U.S. Ambassador, she owned and operated one of the top high-dollar fundraising firms in the United States with both political and non-political clients.